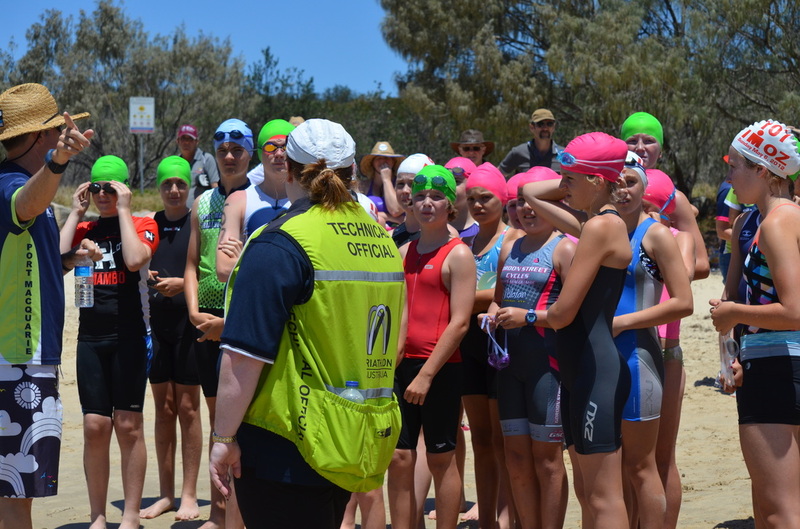 Who IS PORT MACQUARIE TRIATHLON CLUB? 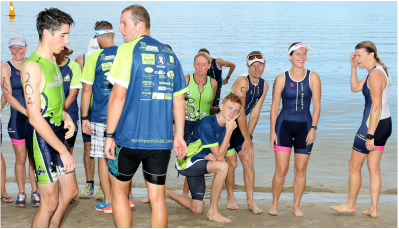 Port Macquarie Triathlon Club (PMTC) is a family-friendly triathlon community that stages a variety of races in the Port Macquarie-Hastings locality. The Tri Club bases most of its activities in McInherney Park which is located on the Hastings River in Port Macquarie. Occasional events are also staged at Flynns Beach in Port Macquarie, and Pilot Beach Reserve in Dunbogan. ​Our Tri Club prides itself on its friendly and welcoming environment where new-comers, juniors and seasoned competitors are welcomed, challenged and encouraged to Come ‘n’ Tri. The Club’s Summer season generally consists of a dozen or so club races during the warmer months of October to April, with a mix of handicapped, graded and team events earning points towards our annual championship grade titles. A series of Aquathons during January holidays and a winter duathlon series are also held. New for season 2018/19, Port Tri Club is introducing a "social grade" of racing for those wanting to have a go at triathlon, but aren't interested in competing for club grade titles. This social level is designed to ease newcomers (or returning members) into the sport where no rules will be strictly applied other than those which keep you safe on the course. Social racers are welcome to bring flippers for the swim, skip the bike or run legs, or do whatever else makes you comfortable out there on the course! ​The Club also promotes attendance at a number of National events over a variety of distances from Sprint Triathlons up to Ironman distance. The Club is especially proud of its regular attendance at TriNSW Club Championships and encourages everyone to join in with our participation in the inaugural North Coast InterClub competition introduced by TriNSW for 2018. This will see rival north coast clubs accumulate points at a number of races to be held in nearby locations including South West Rocks, Yamba, Kingscliff, Coffs Harbour, Ballina and Tweed Heads.